Home > News - SEPTEMBER 2016 > Is the Indian Share market overvalued? 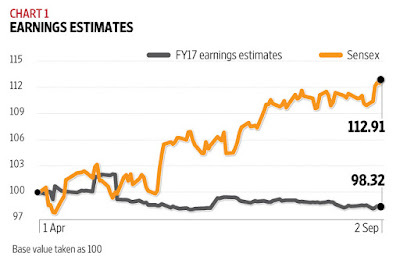 Is the Indian stock market overvalued? It is solely liquidity that is driving the market up. Indian markets have been far from immune to the massive flows of liquidity spilling over from the unconventional monetary policies adopted by central banks in the advanced economies. with the value of the SENSEX. 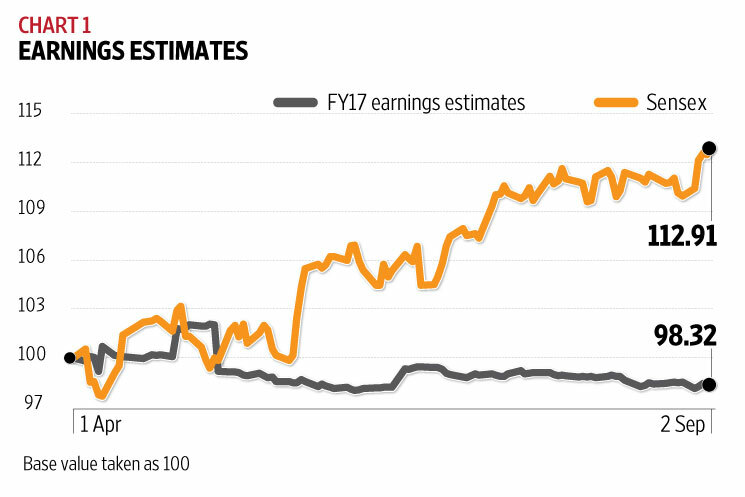 Both the earnings estimates and the SENSEX have been rebased to 100 as on 2106 1 April.